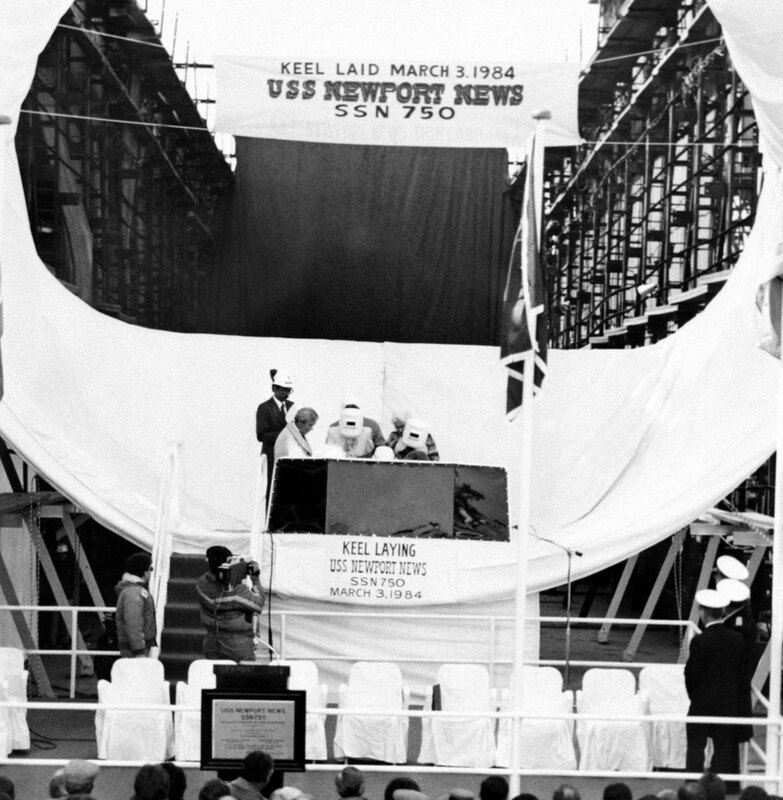 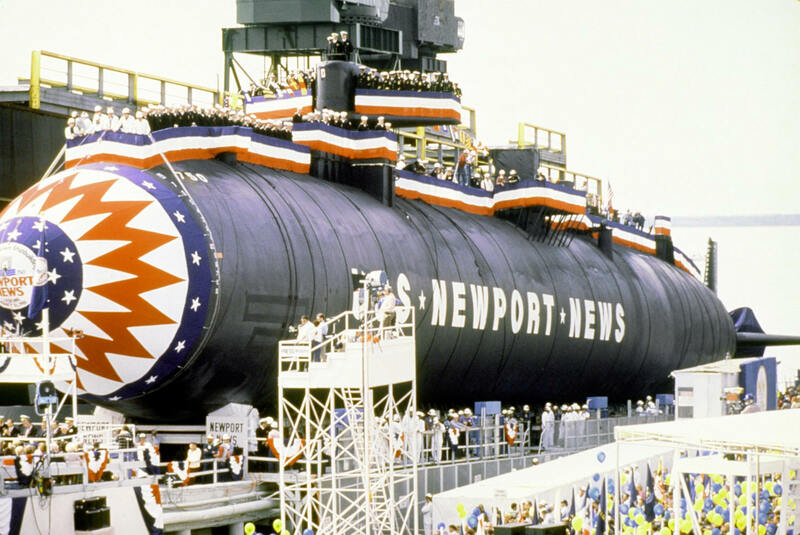 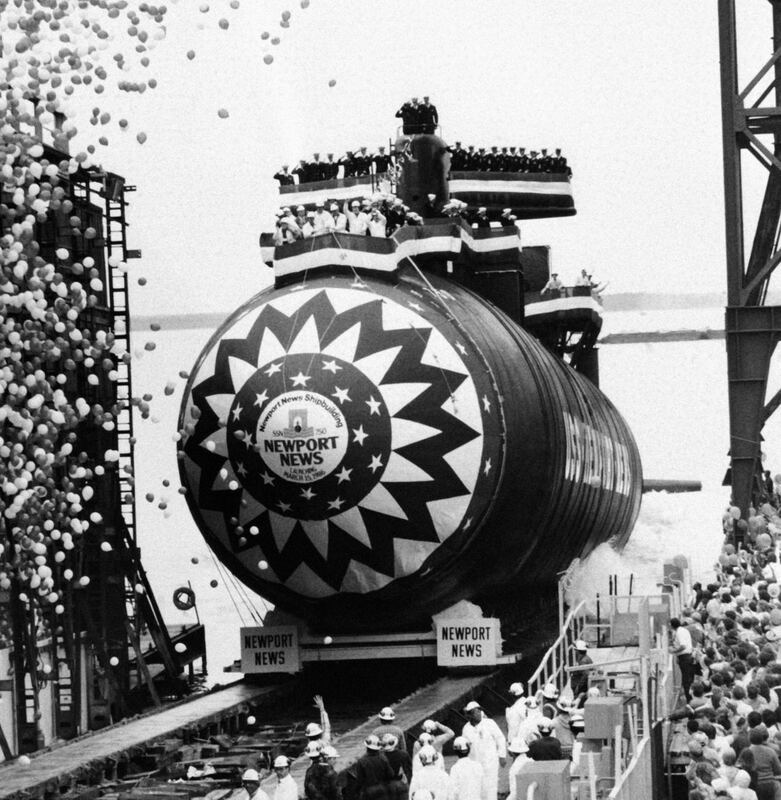 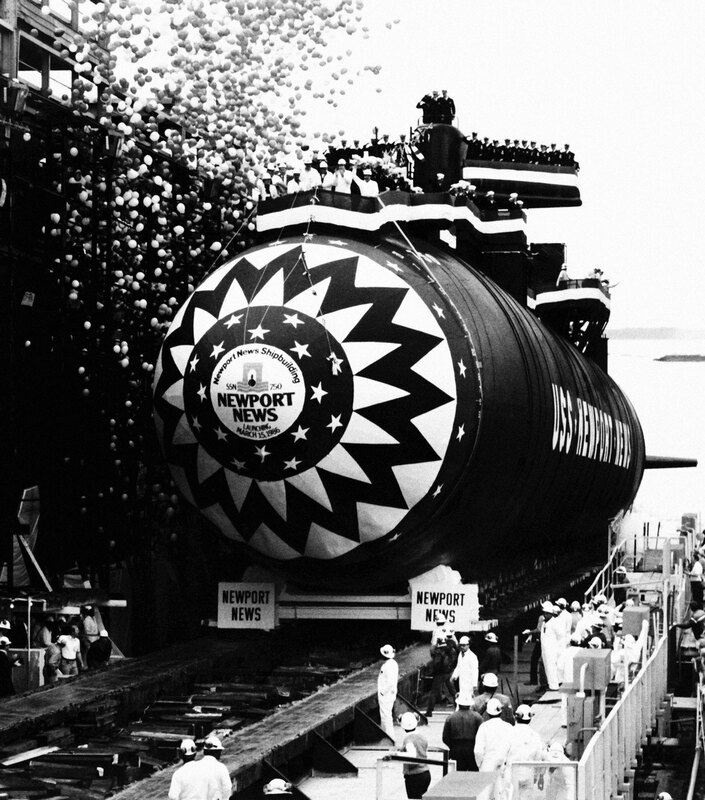 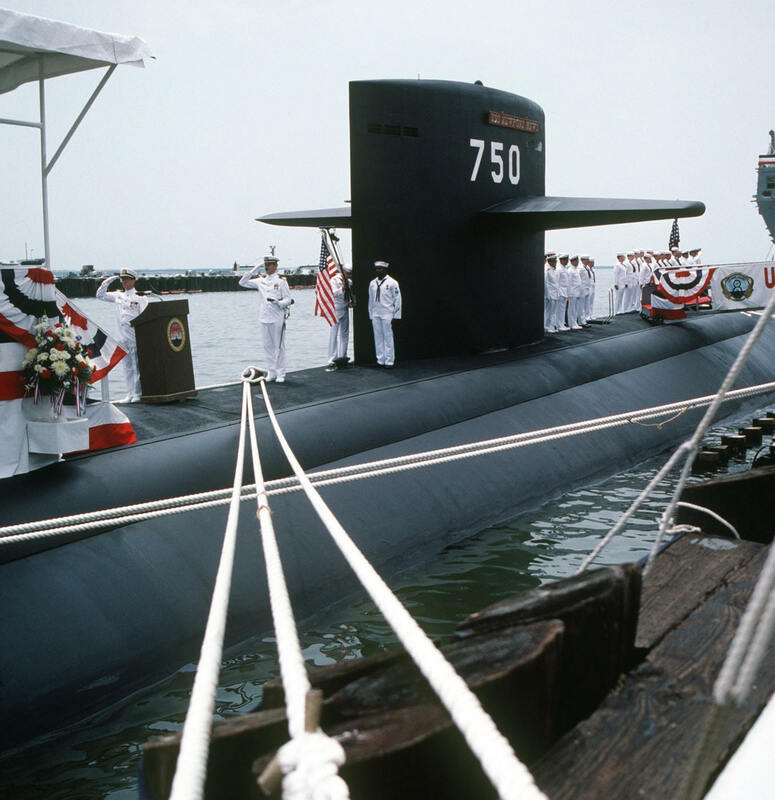 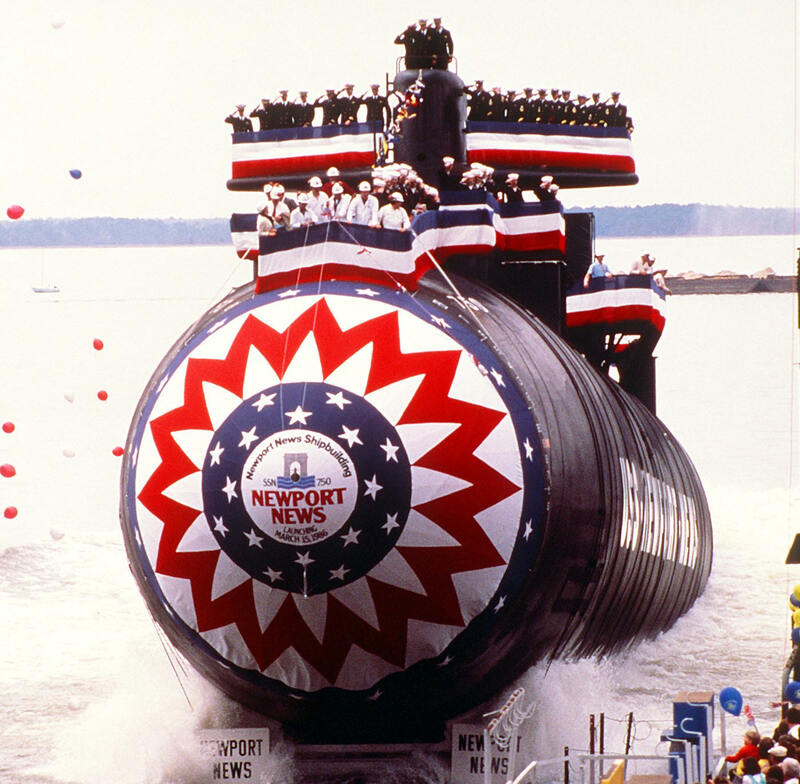 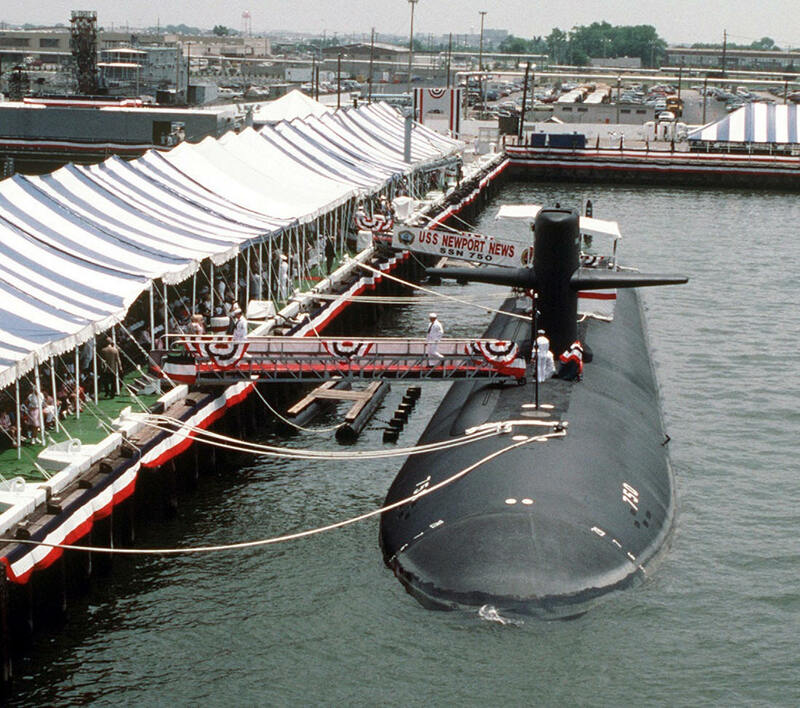 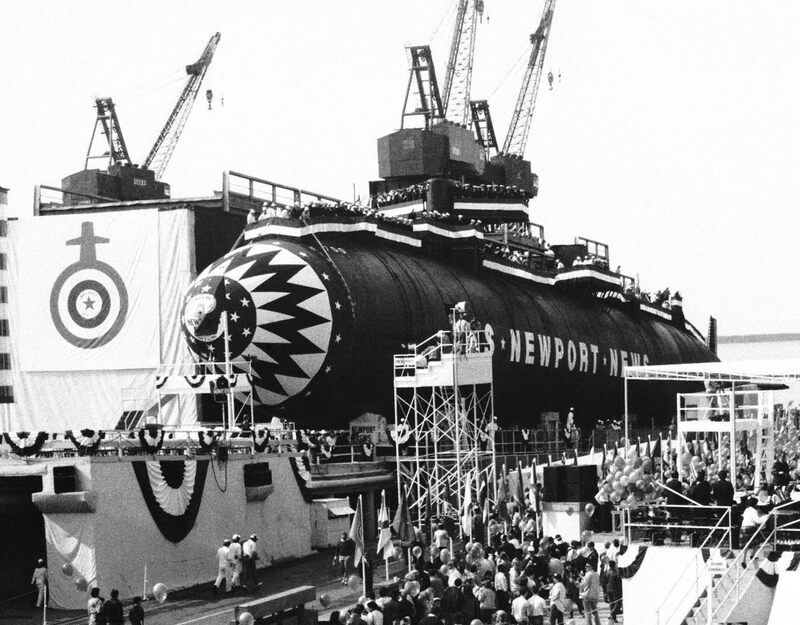 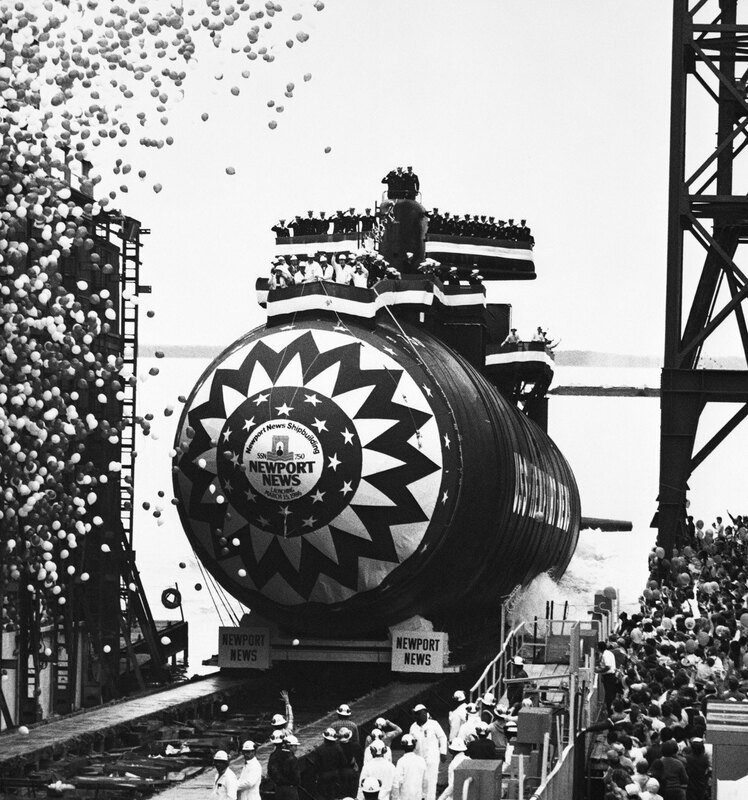 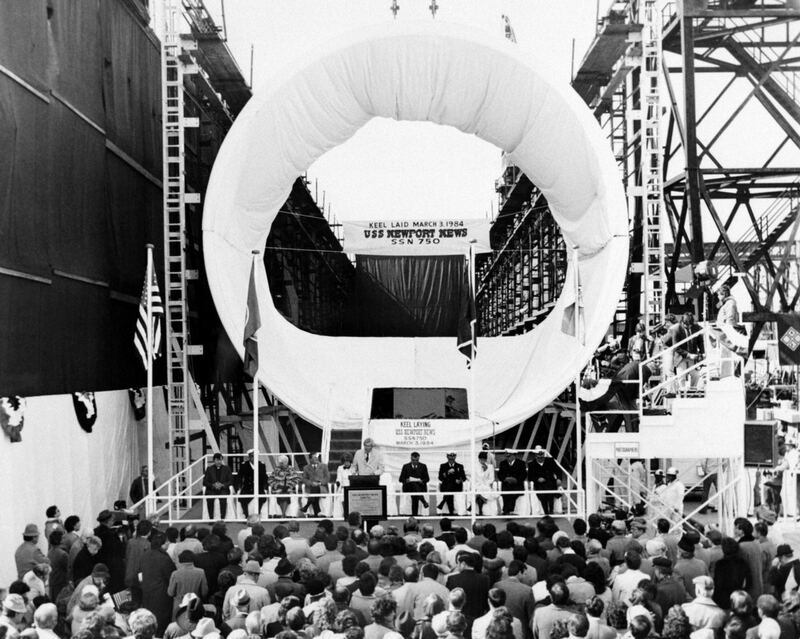 The third Newport News (SSN-750) was laid down on 3 March 1984 at Newport News, Va., by the Newport News Shipbuilding & Dry Dock Co.; launched on 15 March 1986; sponsored by Mrs. Rosemary D. Trible, wife of Senator Paul S. Trible Jr., Virginia; and was commissioned on 3 June 1989 at Naval Station (NS) Norfolk, Va., Cmdr. 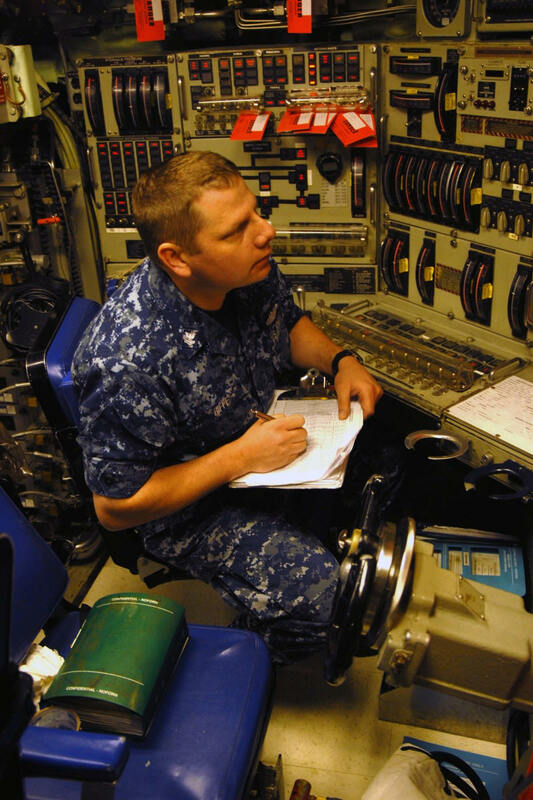 Mark B. Keef in command. 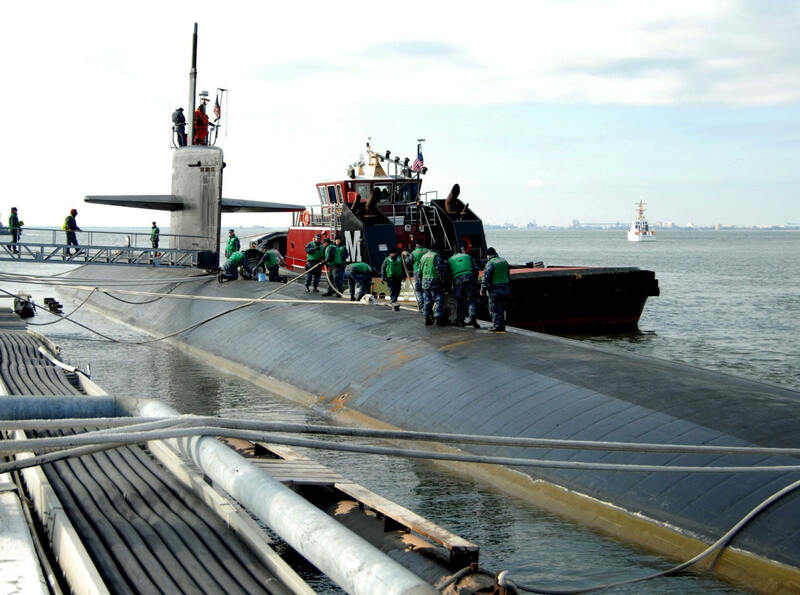 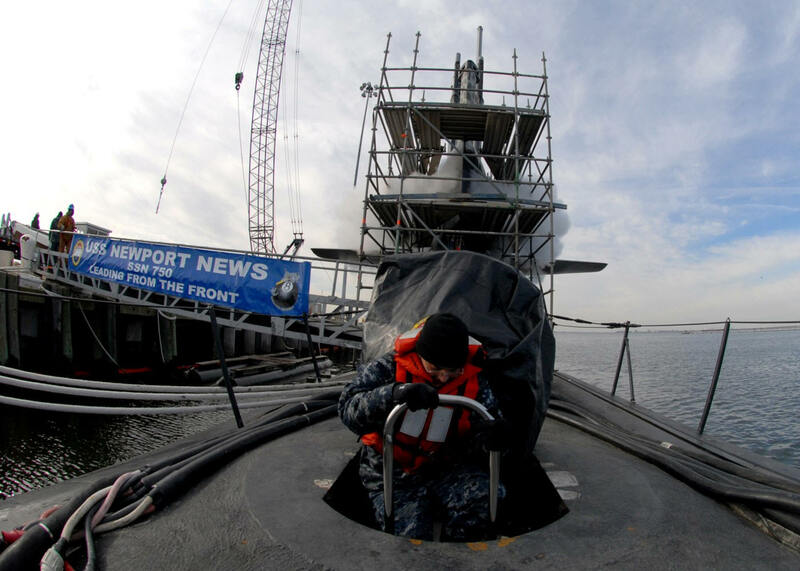 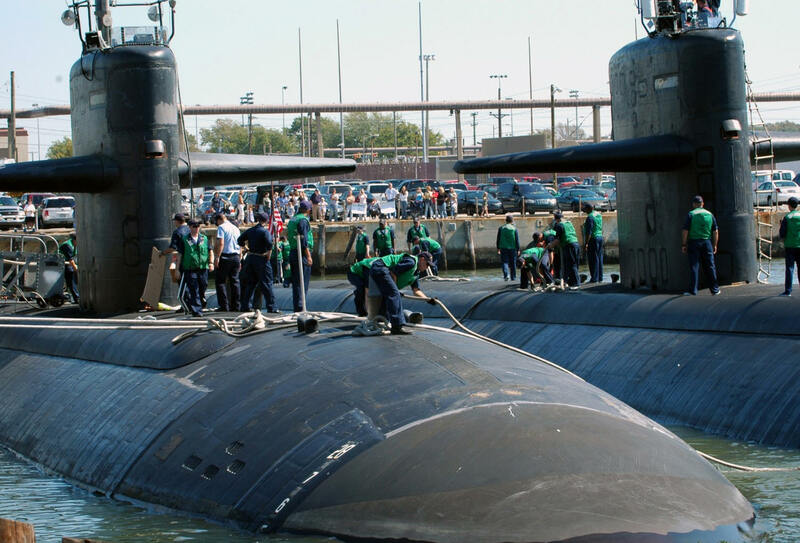 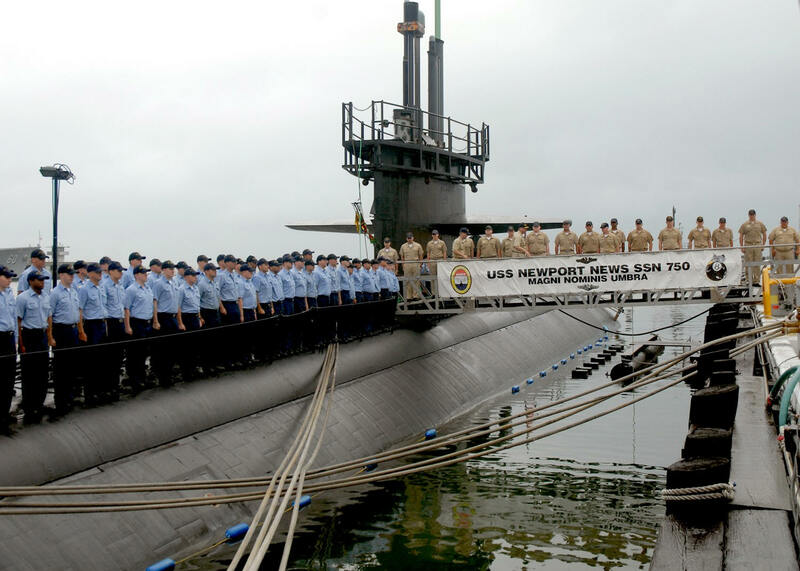 Newport News returned to Norfolk, Virginia, following a six-month overseas deployment that included operations in the Middle East. 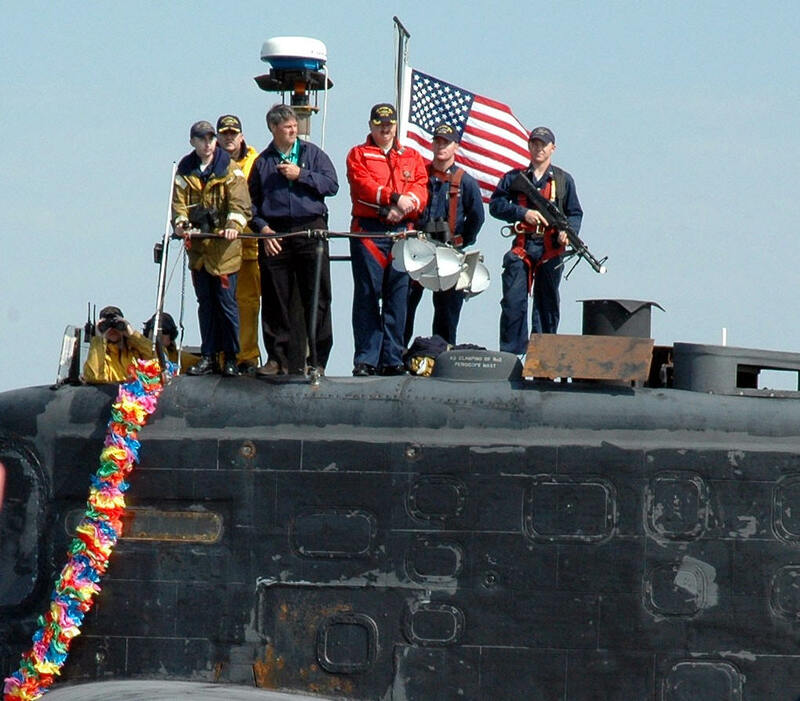 In support of Operation Iraqi Freedom she launched 19 UGM-109C Tomahawk Land Attack Missiles in March 2003. 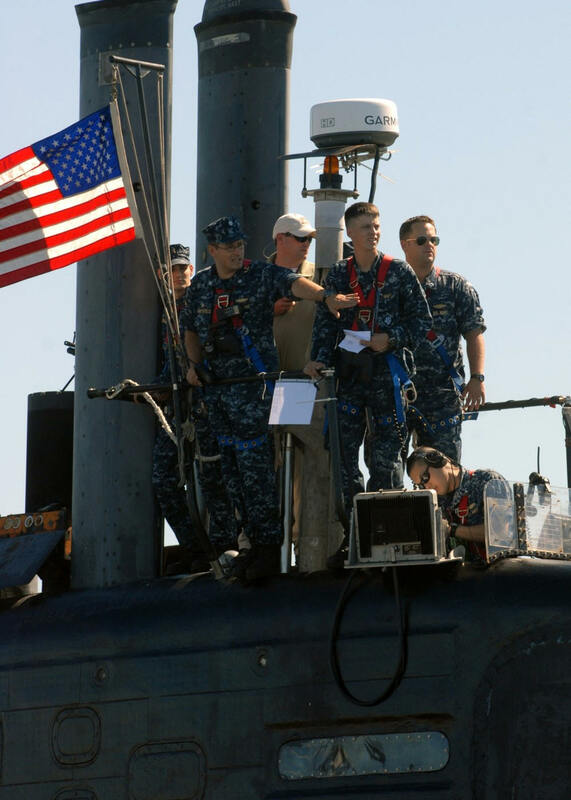 She deployed in August 2004, first to take part in joint operations with allied navies in the North Atlantic, then to the U.S. Central Command area of operations "in support of national security interests and the global war on terrorism." 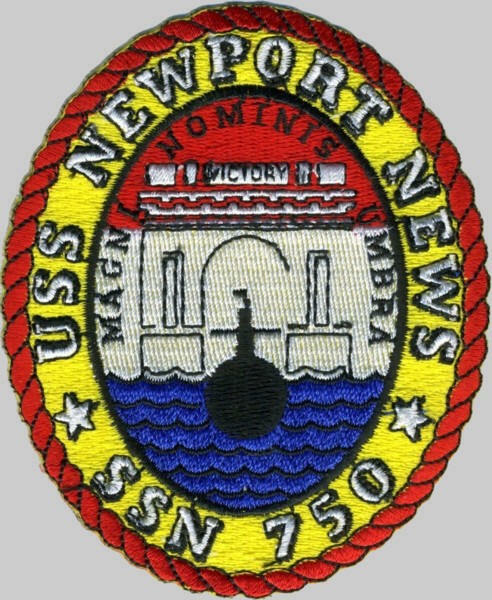 On 8 January 2007, Newport News was operating submerged in the Arabian Sea south of the Straits of Hormuz when it hit the Japanese tanker Mogamigawa. 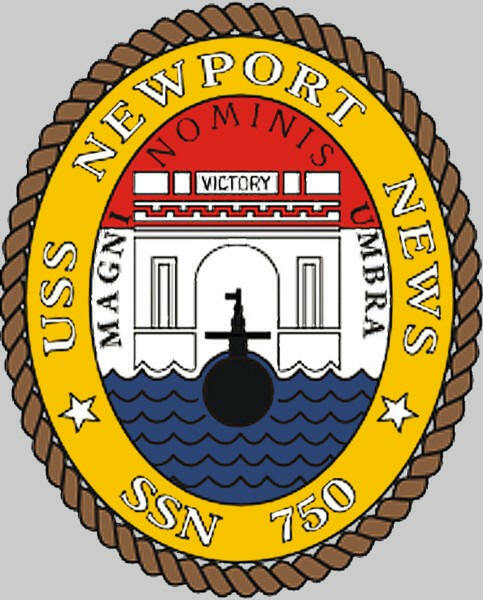 She had been operating as part of Carrier Strike Group 8 (CSG-8), organized around the aircraft carrier Dwight D. Eisenhower (CVN-69). 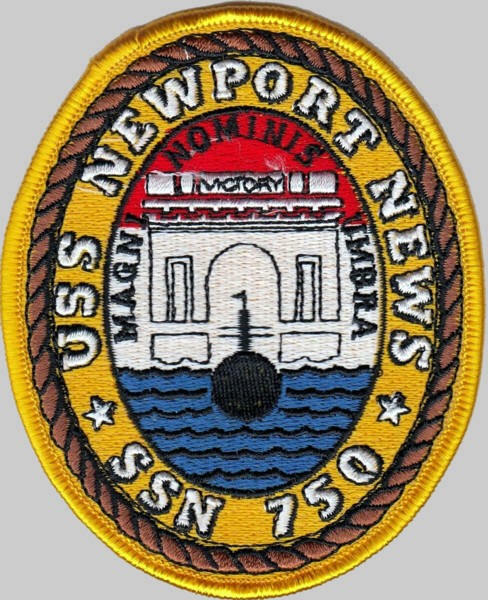 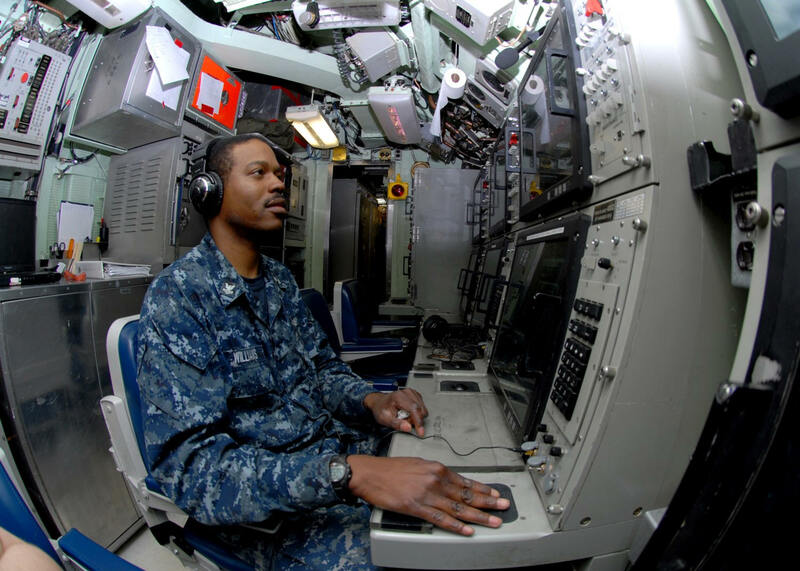 The Carrier Strike Group was redeploying to the Indian Ocean to support a maritime cordon during the war in Somalia when the incident happened. 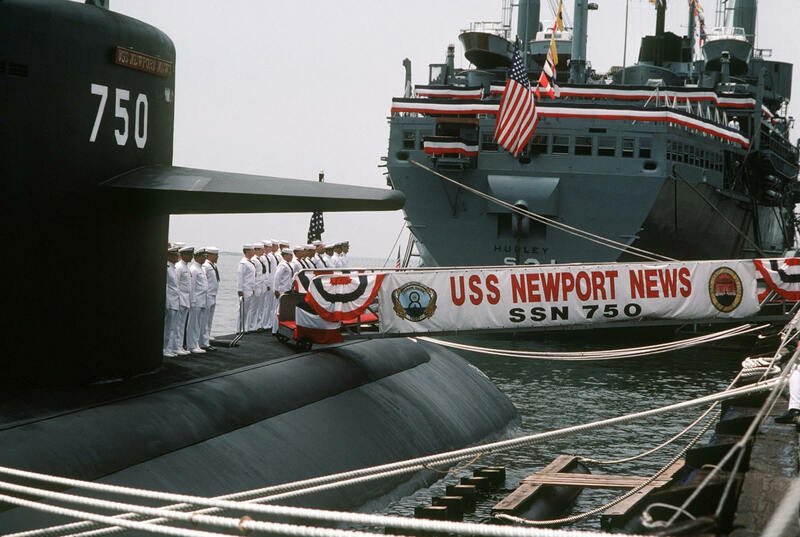 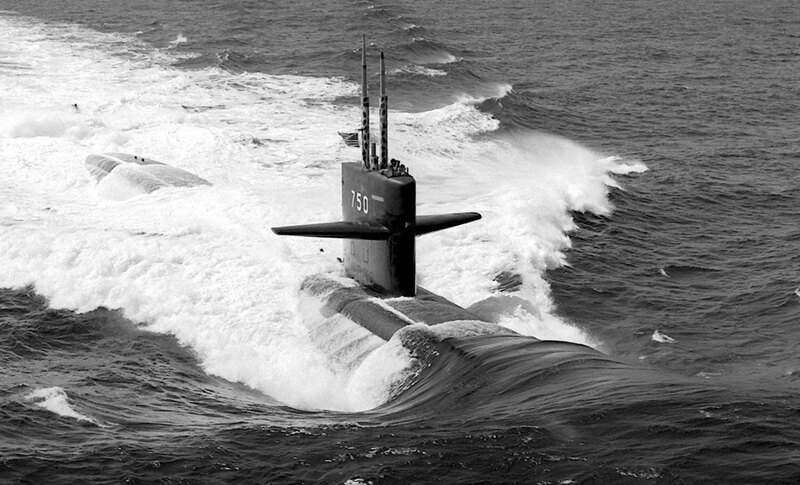 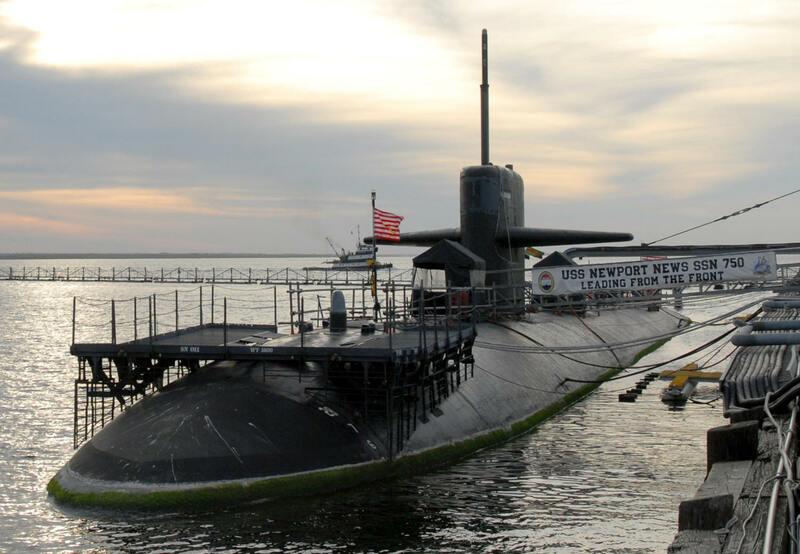 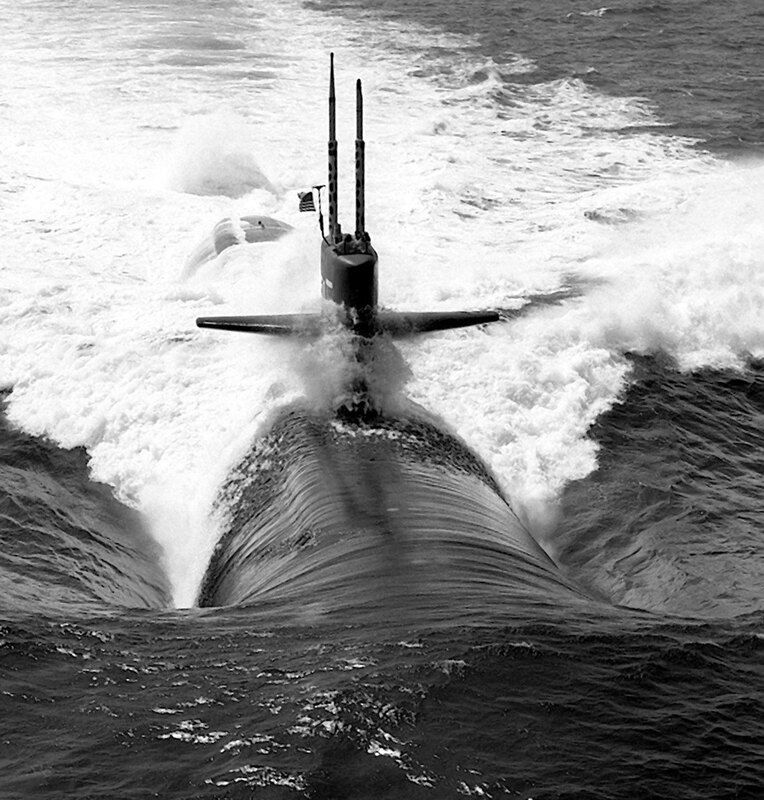 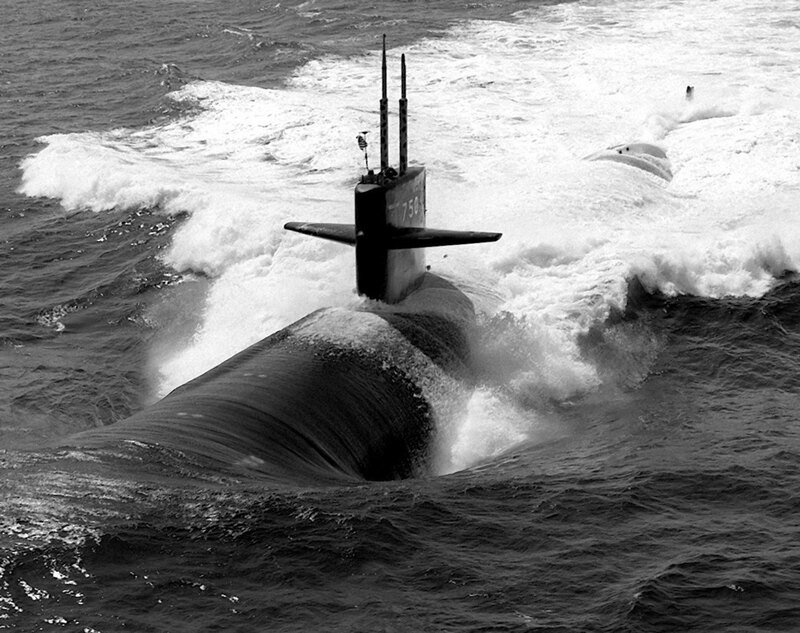 The Newport News suffered damage to her bow, but there was no damage to the sail, mast or reactor, and she made for port in Bahrain under her own power. 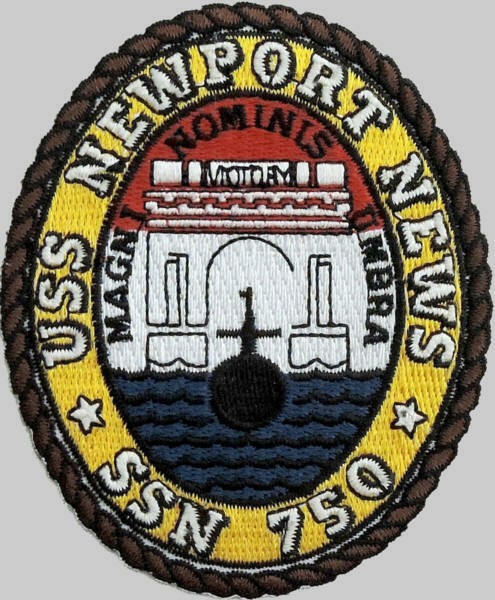 Newport News was escorted from the mouth of the Straits of Hormuz to Bahrain by the Guided Missile Destroyer USS Benfold. 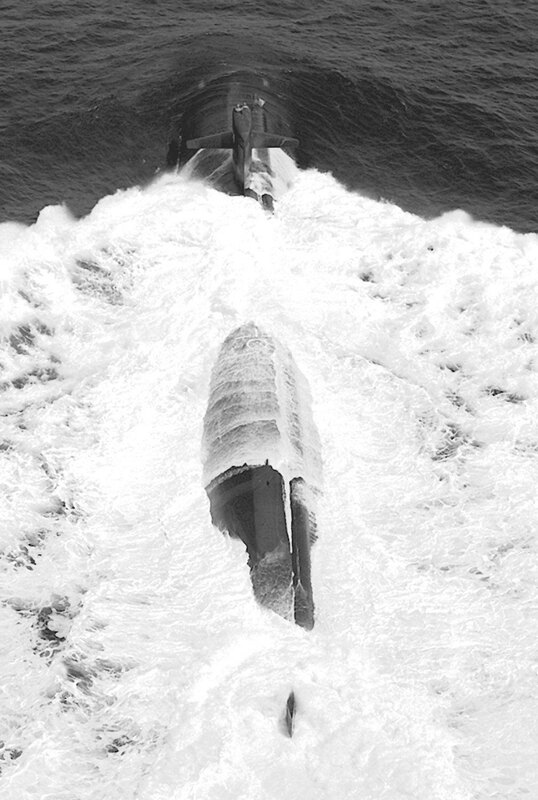 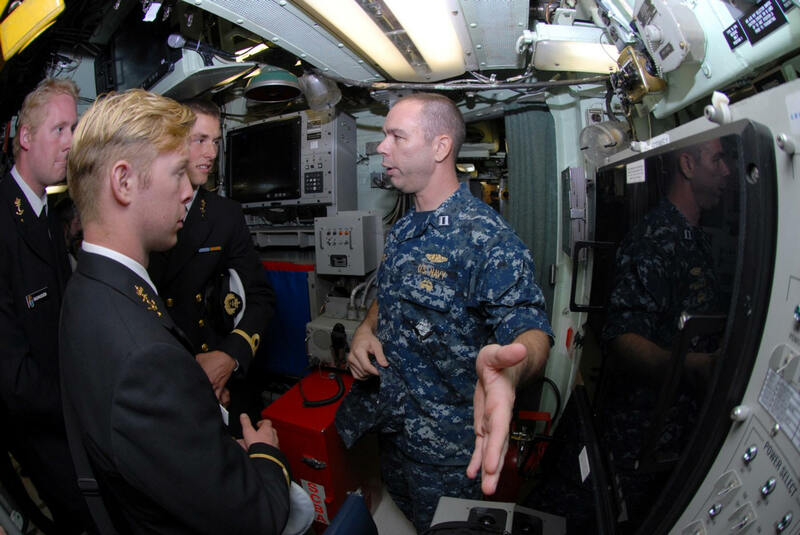 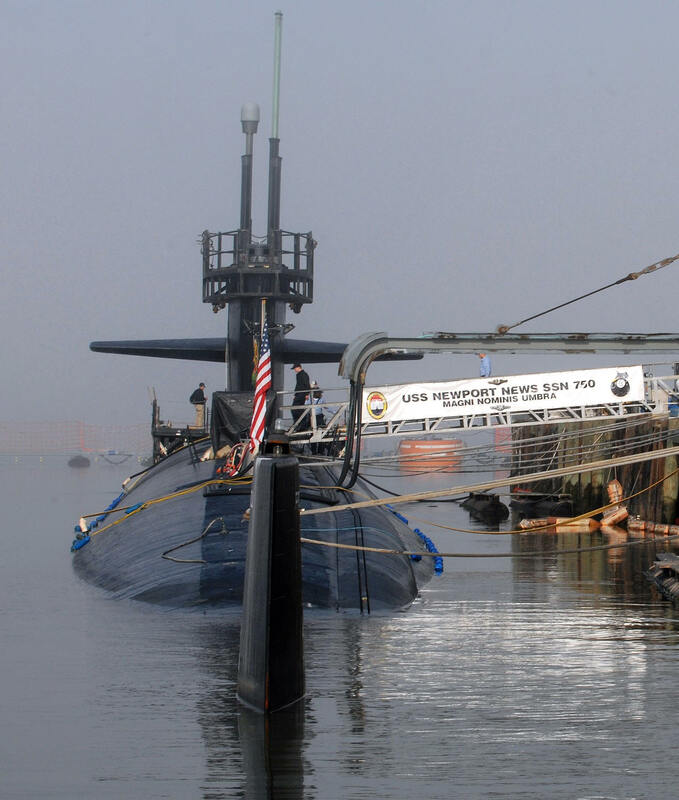 This was due to the fact that the submarine was unable to transit submerged and has no surface defense capabilities. 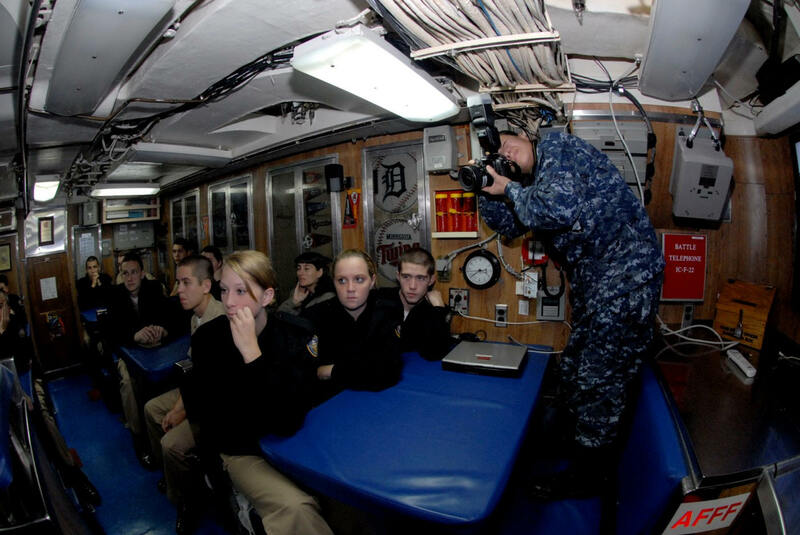 During the transit, Iranian aircraft and warships shadowed the ships. 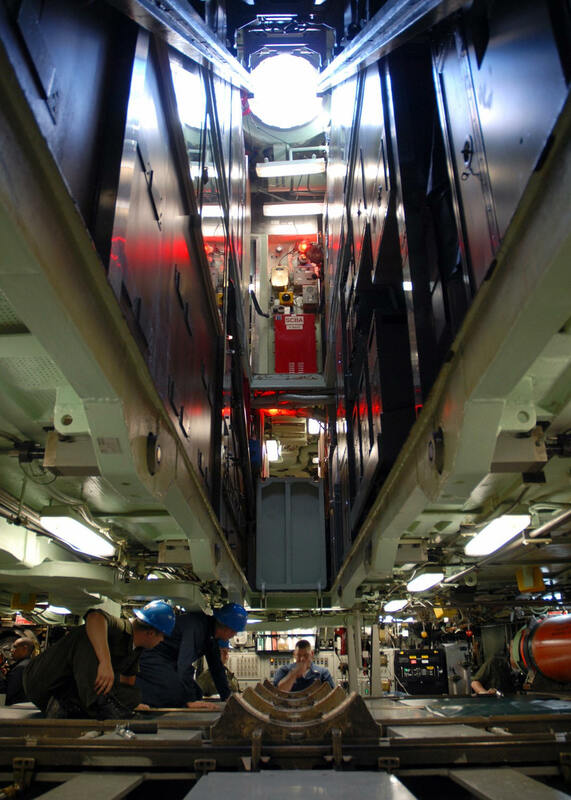 An official of the Kawasaki Kisen Company (or K Line), which owns the tanker, announced that Mogamigawa‍ '​s hull and propellers were damaged. 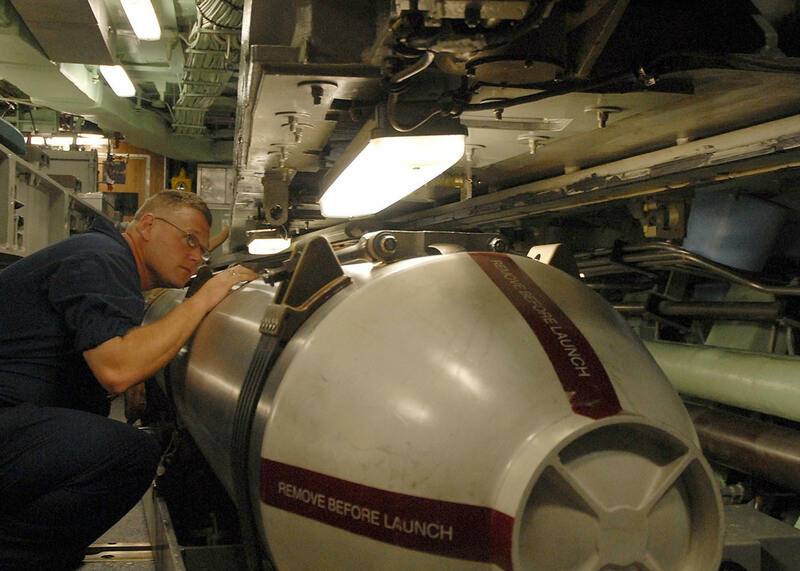 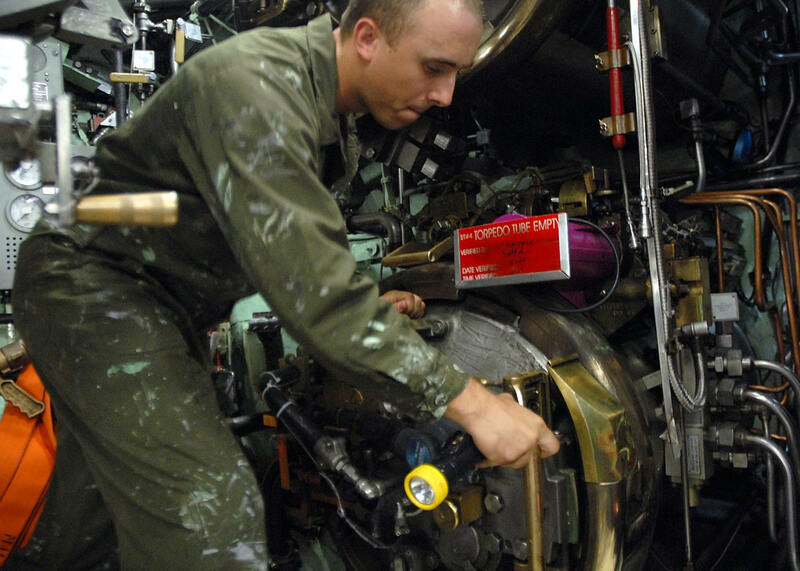 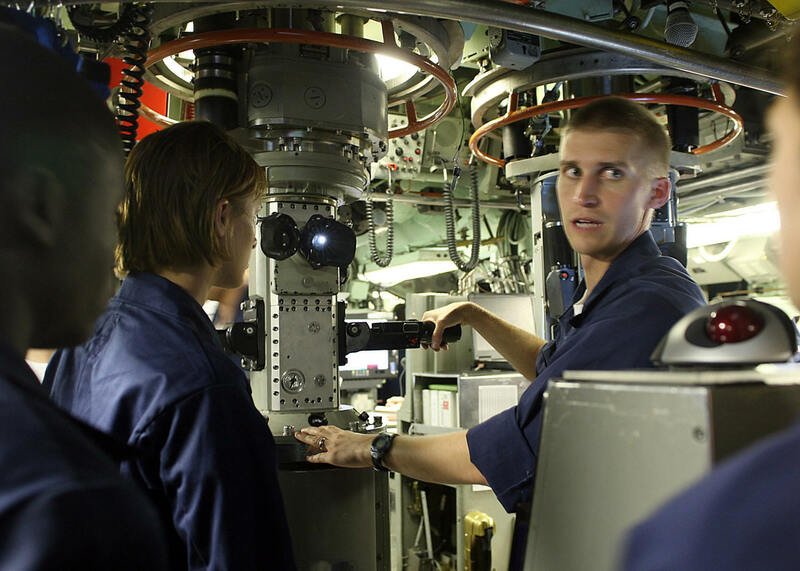 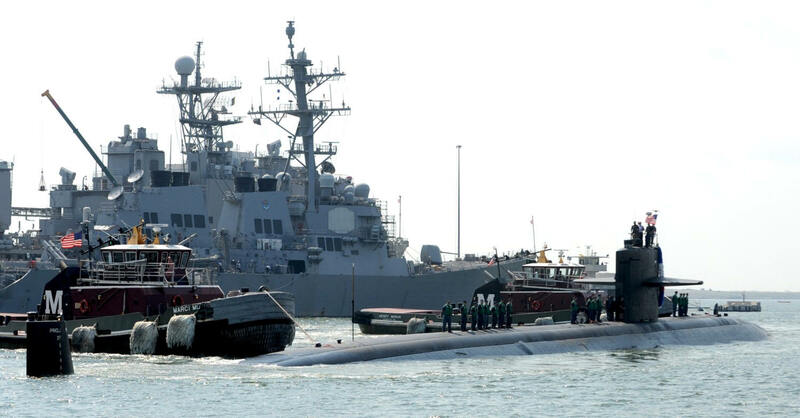 According to a Navy spokesman, the collision occurred as a result of the venturi effect. 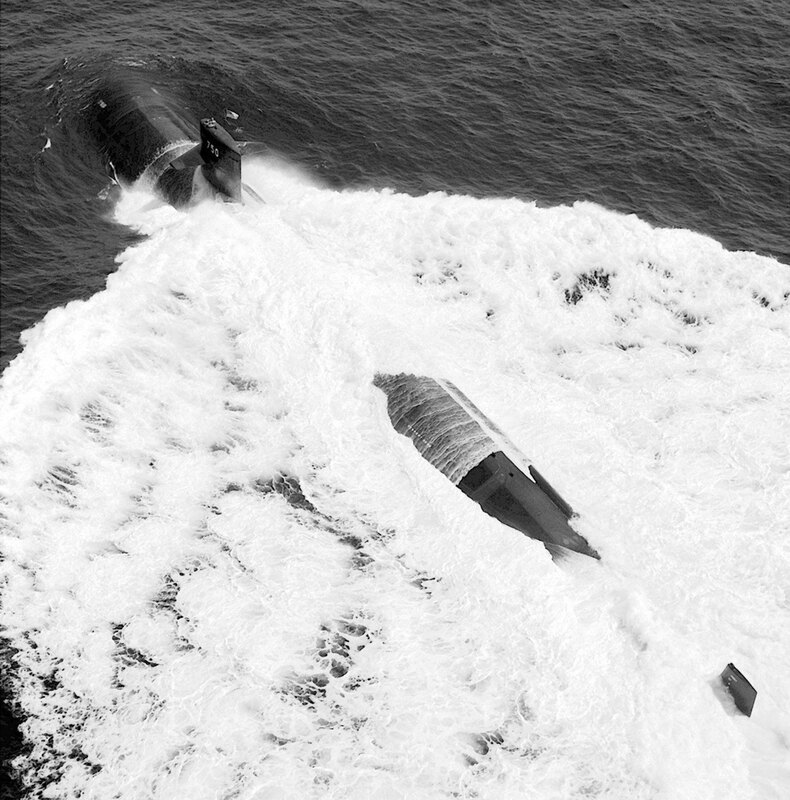 The tanker drove over the area where the submarine was submerged and this created a sucking effect that forced the submarine upward to the surface. 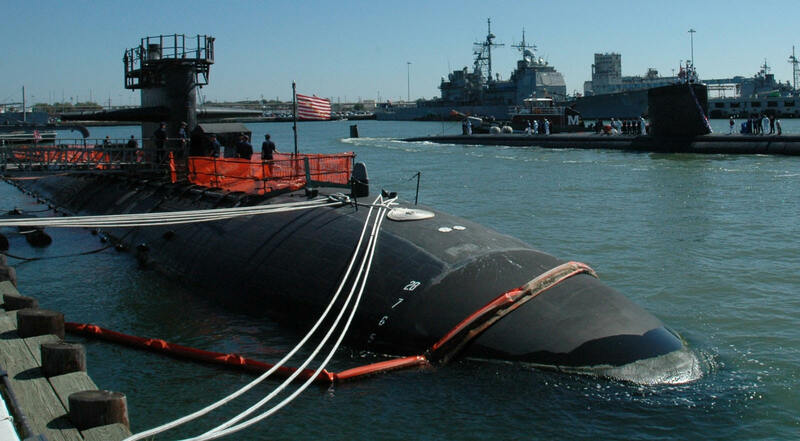 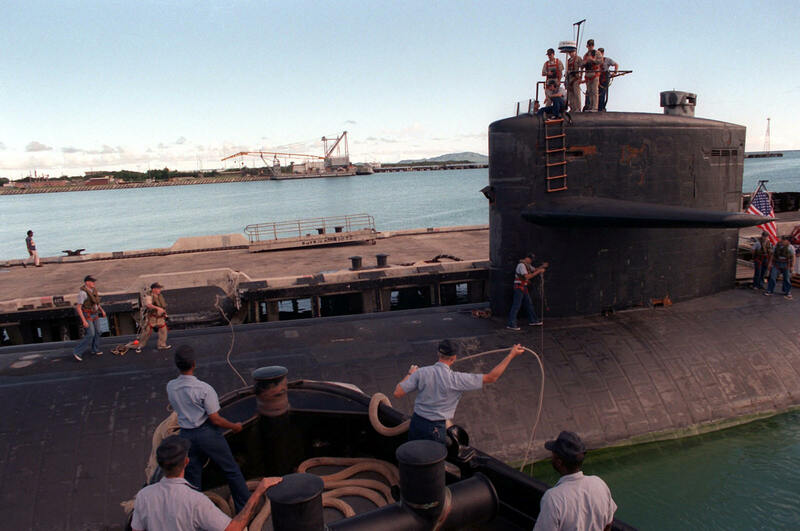 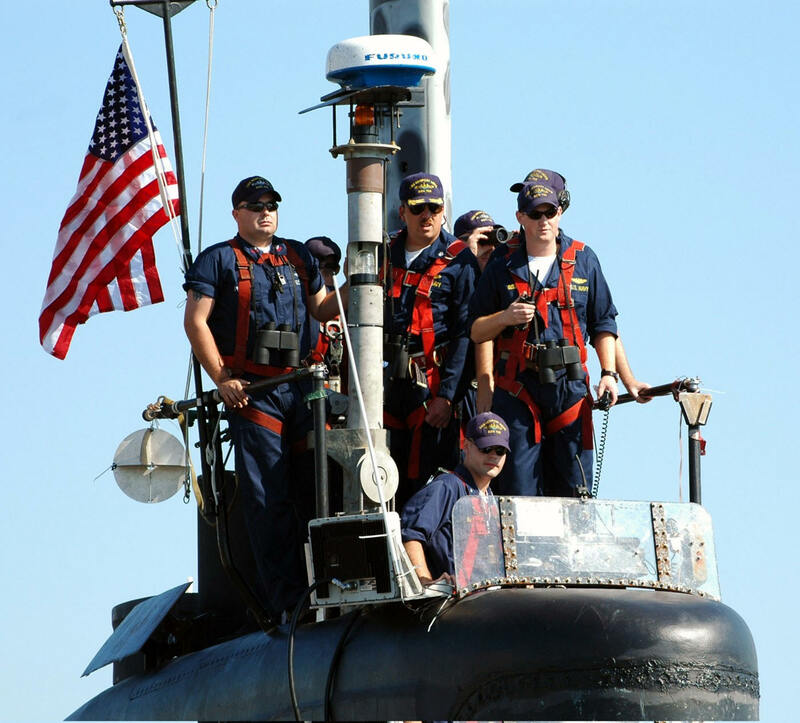 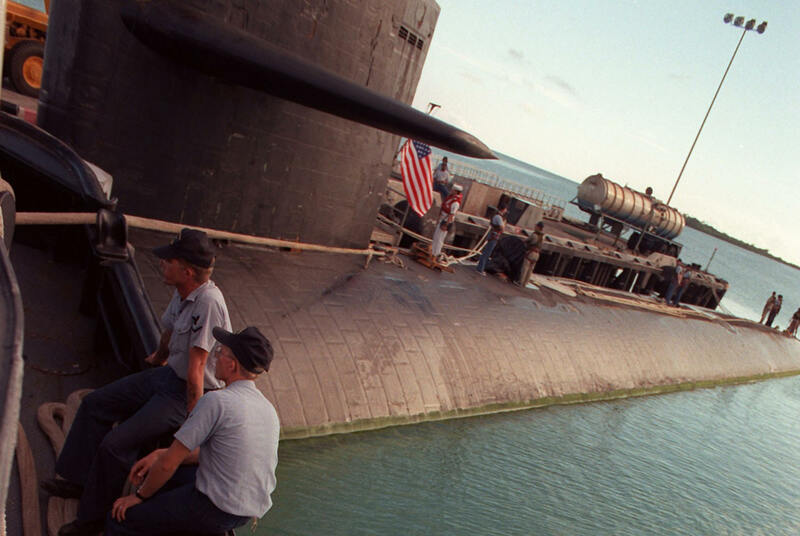 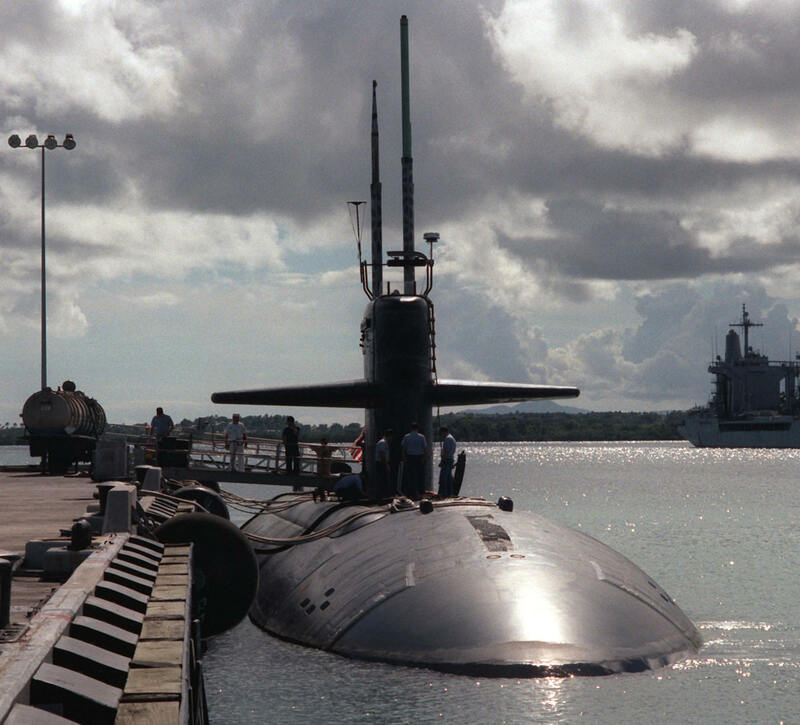 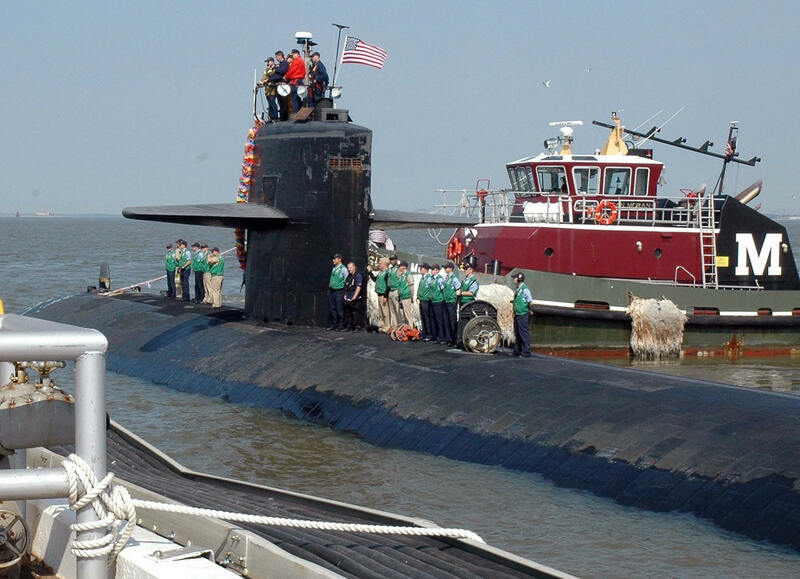 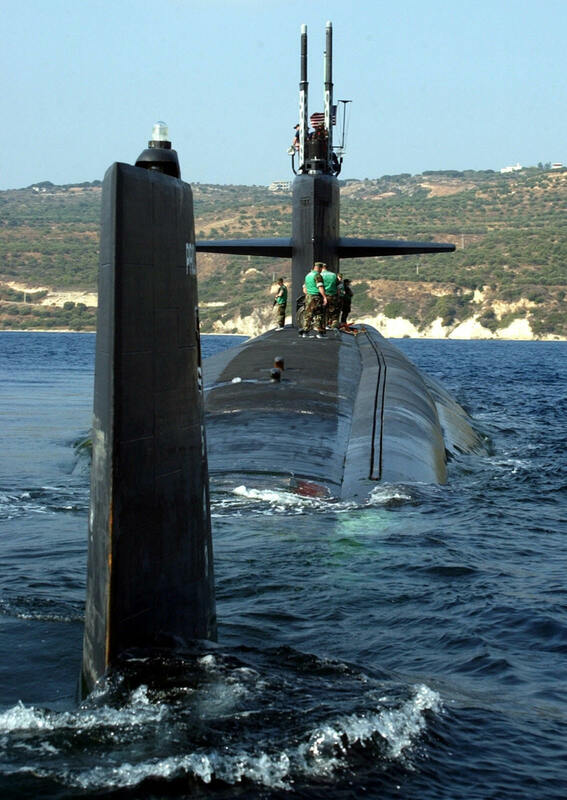 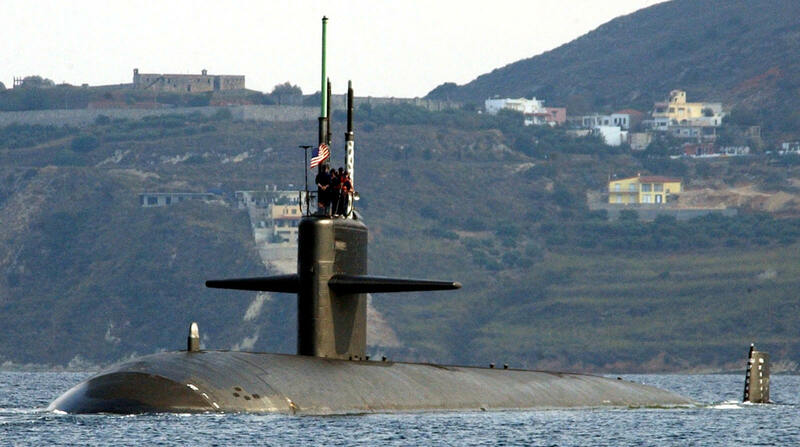 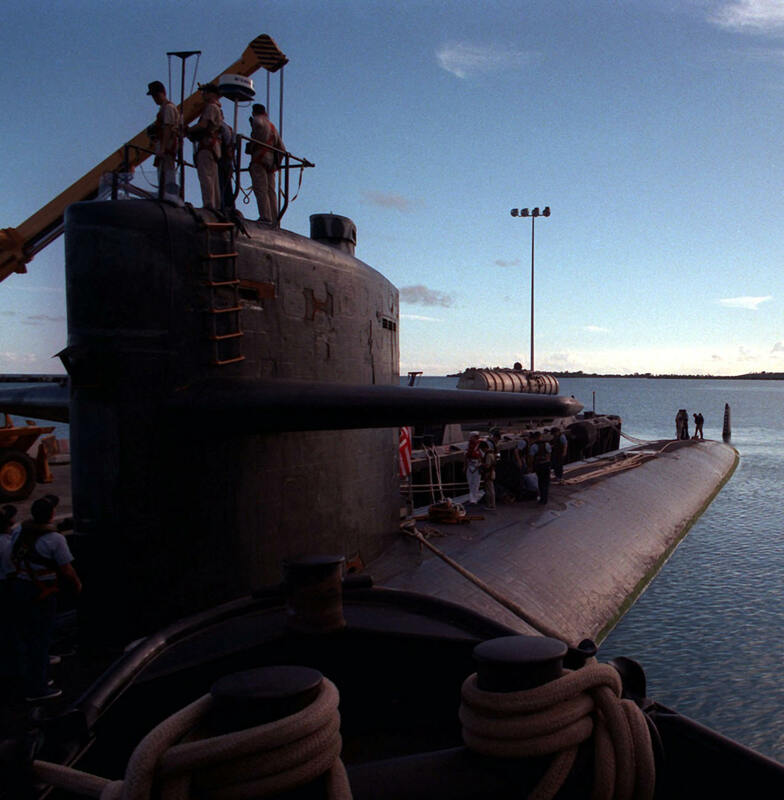 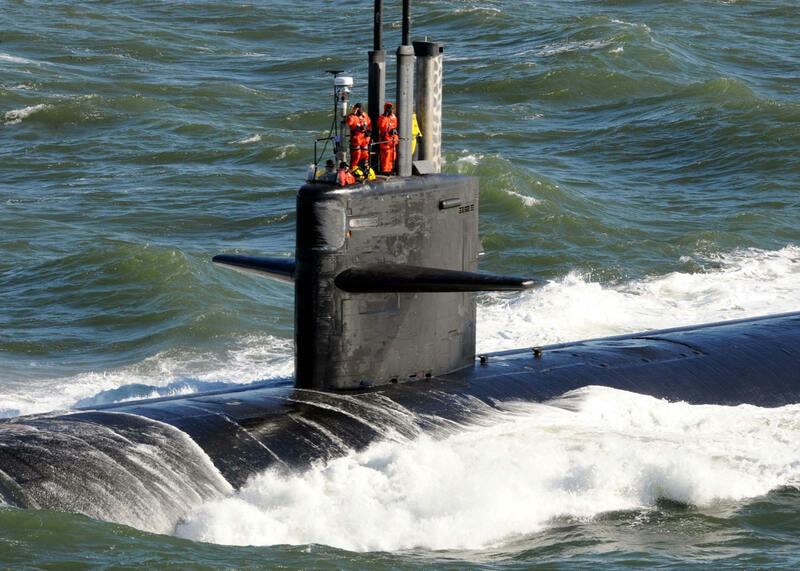 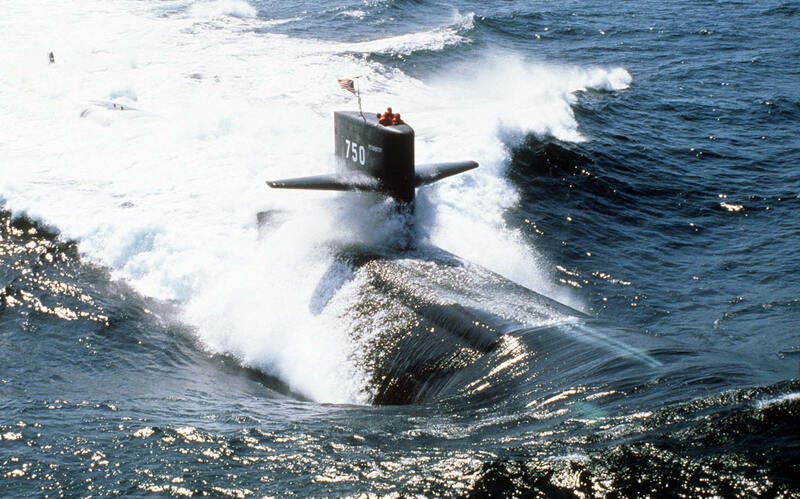 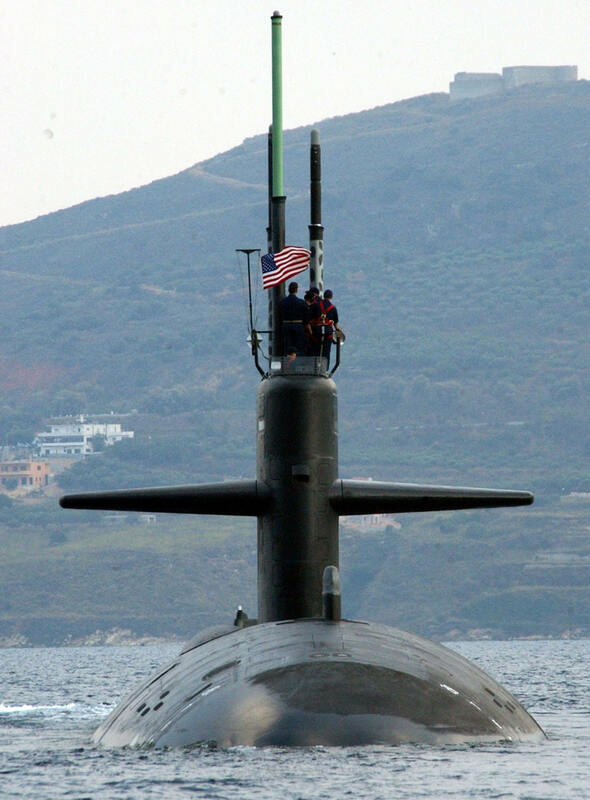 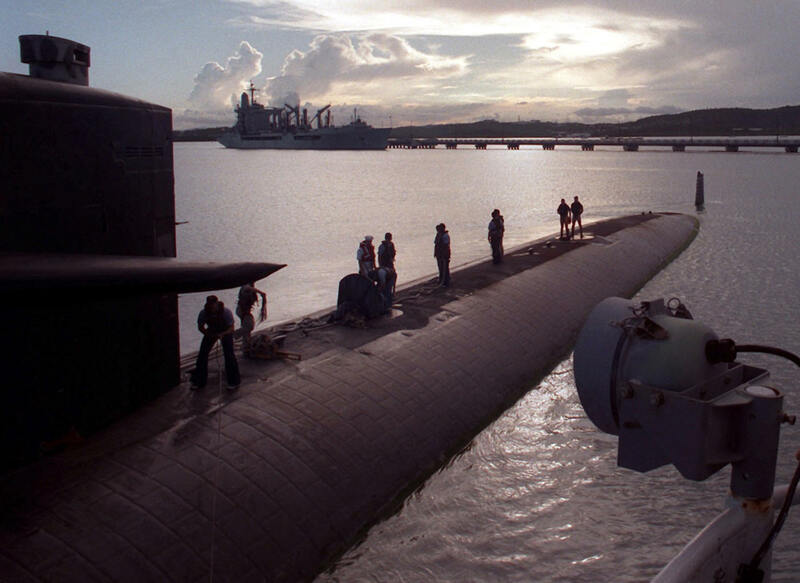 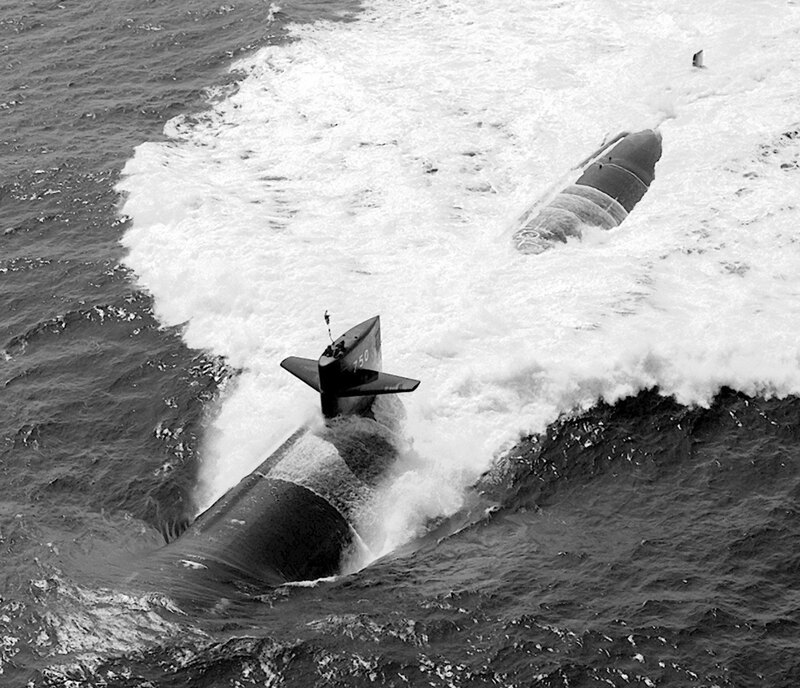 The incident was the third collision between a U.S. nuclear-powered submarine and a Japanese civilian ship. 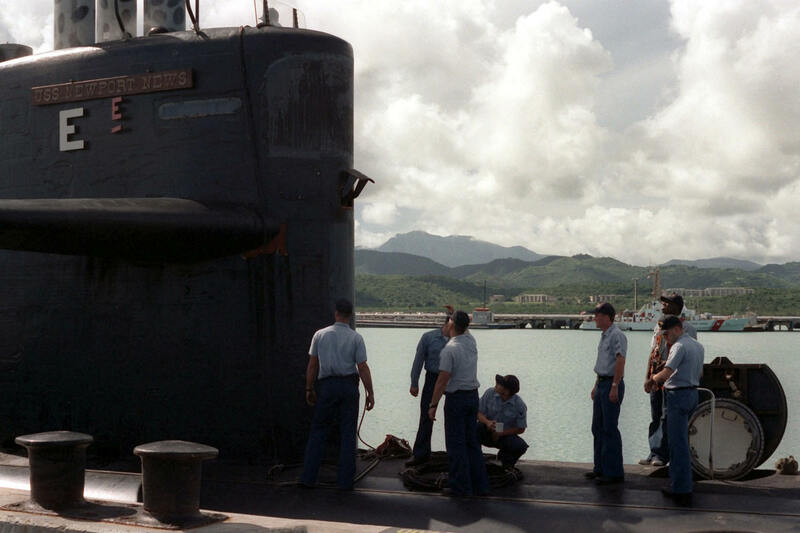 On 29 January, after the boat returned to Bahrain for repairs, administrative personnel actions (Admiral's Mast) were taken against several members of her crew, which included relieving the boat's commanding officer, Commander Matthew A. Weingart, of command due to a lack of confidence in his ability to command. 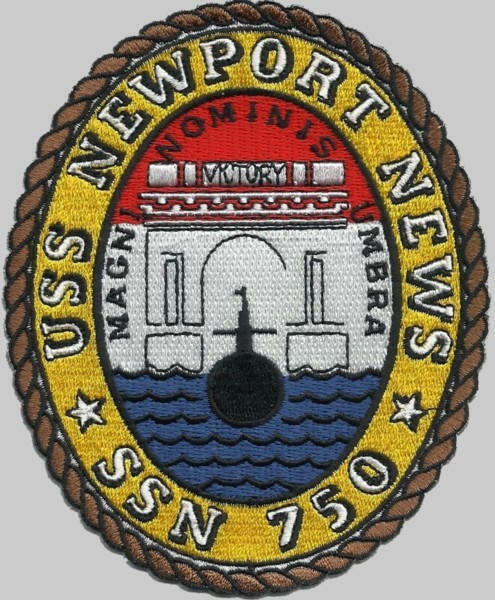 On 10 April the Iranian Fars News Agency reported that the Newport News has been leaking radioactive and chemical pollution in the Persian Gulf and claimed that following this formal complaint, the ship departed the gulf for a complete overhaul. 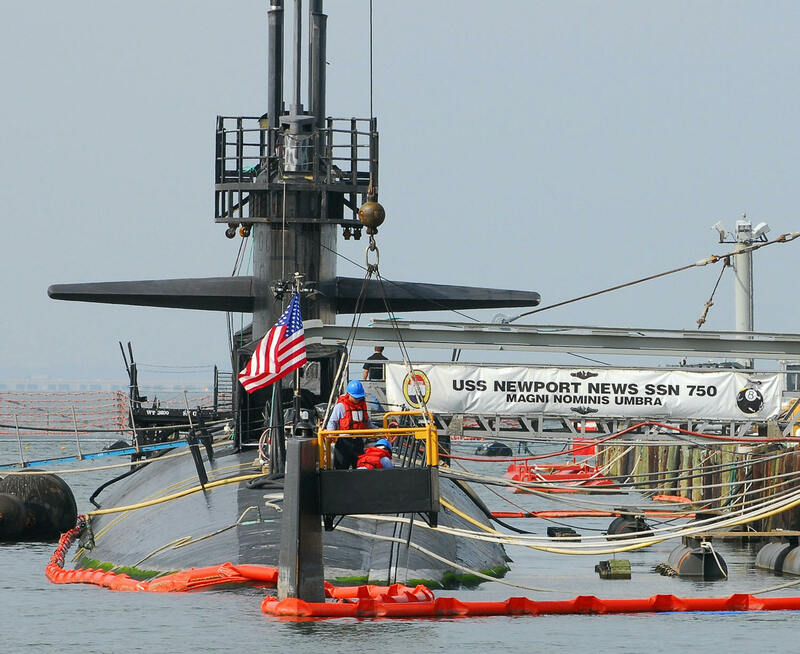 The US Navy Fifth Fleet denied this claim restating that damage was limited to the bow and that the sail, mast and reactors were not damaged. 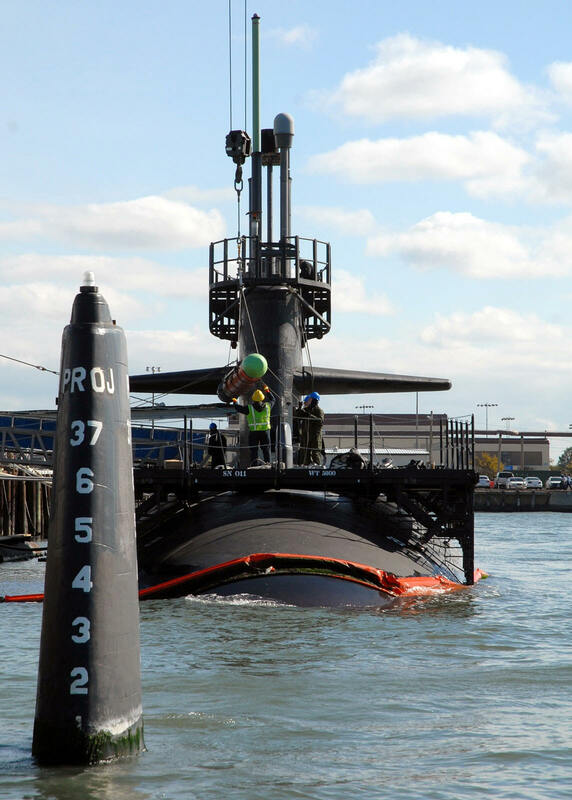 On 2 October 2007 the U.S. Navy agreed to pay Kawasaki Kisen Kaisha Ltd, the company that owns Mogamigawa an undisclosed amount in compensation for the collision.